Words: Dean Campbell. Photos: Andrew Snucins, Jordan Hamelin. 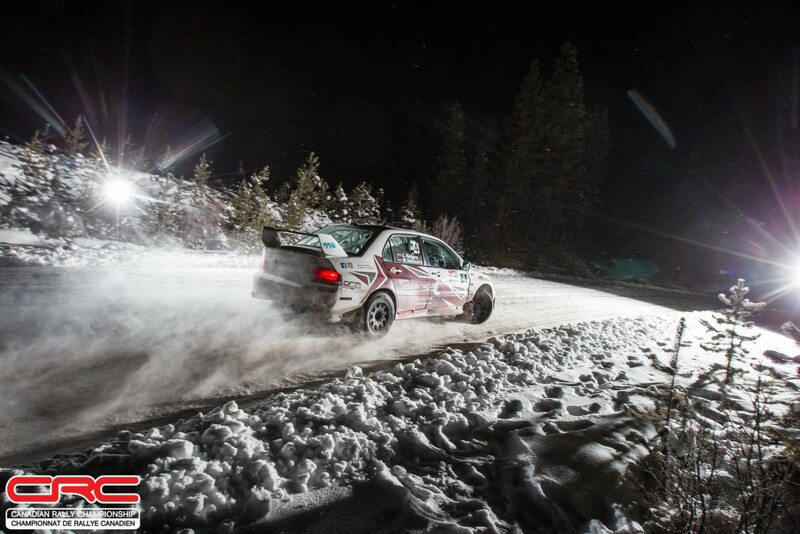 The Big White Winter Rally opened with two night stages on day one. 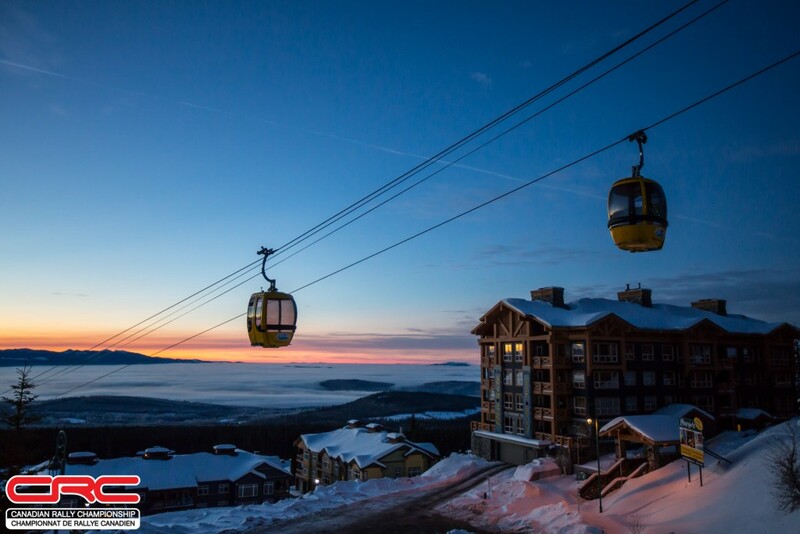 Antoine L’Estage and Alan Ockwell took the lead on the first stage, and continued to press their advantage, ending the first day in the lead. 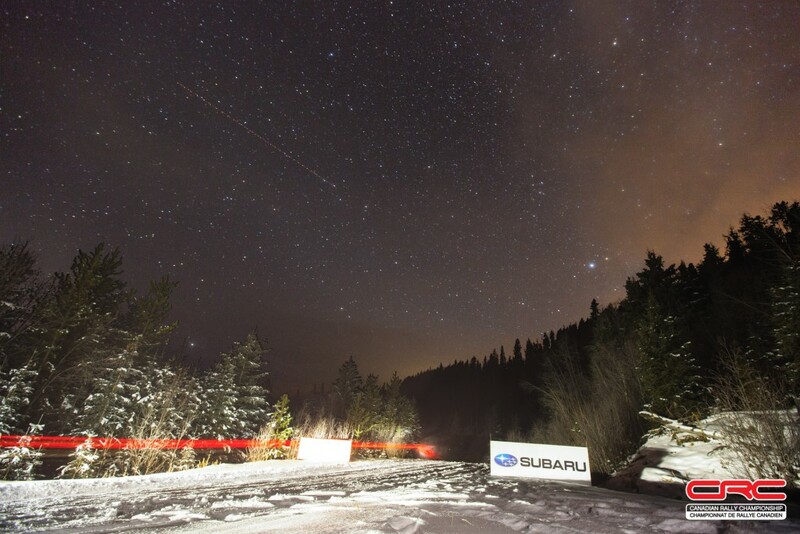 The pair race for Subaru Rally Team Canada, and have secured the manufacturer’s and driver’s titles, with a strong lead in the points for Ockwell to clinch the co-driver’s title. With those championships in place, the team is free to go flat out this weekend. Brandon Semenuk and John Hall secured second heading into the overnight break. 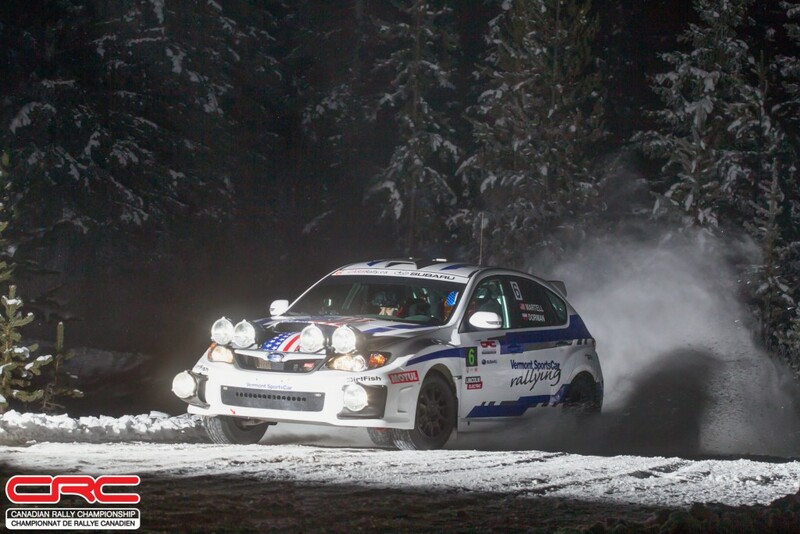 On the second pass of the Black Forest stage the team bettered their first time by 15 seconds. Conner Martell and Greg Dorman round out the top three, 20 seconds back from Semenuk and Hall, but just six seconds ahead of Maris Neiksans and Liga Kotane in fourth. Neiksans and Kotane hold a dominant first place position in the Production 4WD class, and have nearly a minute lead over the fifth-placed car, Dave Nickel and Alex Gelsomino, in their Open class Subaru. Nicholas Spencer and John Kesslar have a narrow lead over fellow production competitors Trevor Harding and David Ma. Just four seconds split the teams, with Spencer and Kesslar leading and holding tenth place overall. Dave Wallingford and Leanne Junnila lead the 2WD drive competition. 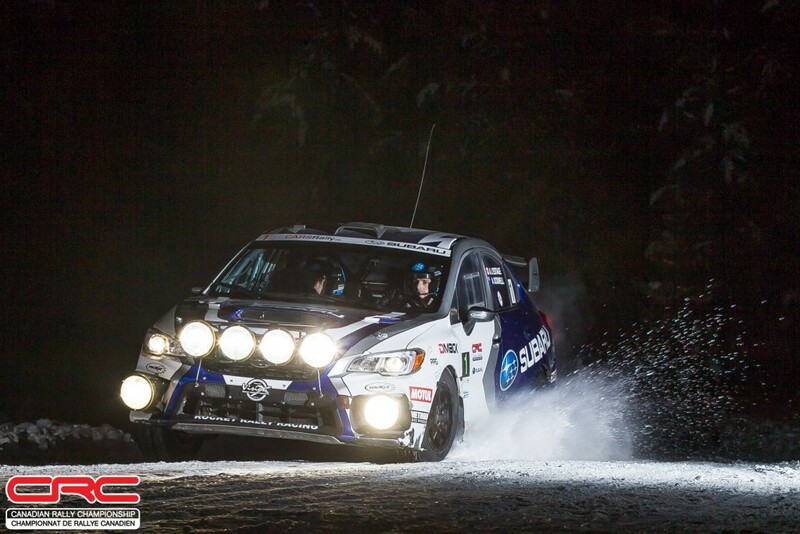 The pair clinched the 2WD championship at the fifth rally of the series, the Pacific Forest Rally, in October. The team ended the first day in eighth overall. 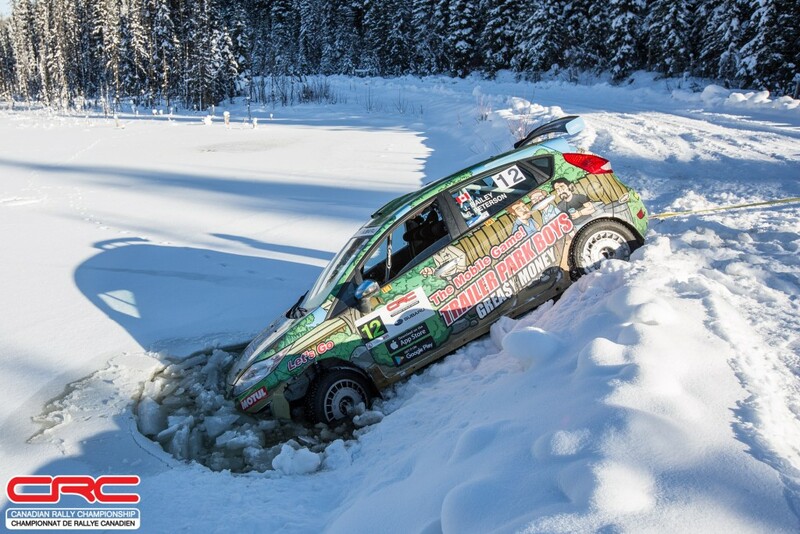 Their season-long rivals Jason Bailey and Shayne Peterson had a close call during the shakedown, going off the road, the nose of the car breaking through the ice of a nearby lake. Thankfully, it was just the front corner of the car, and following an extraction, the team were able to confirm the car was undamaged and ready to begin the rally. 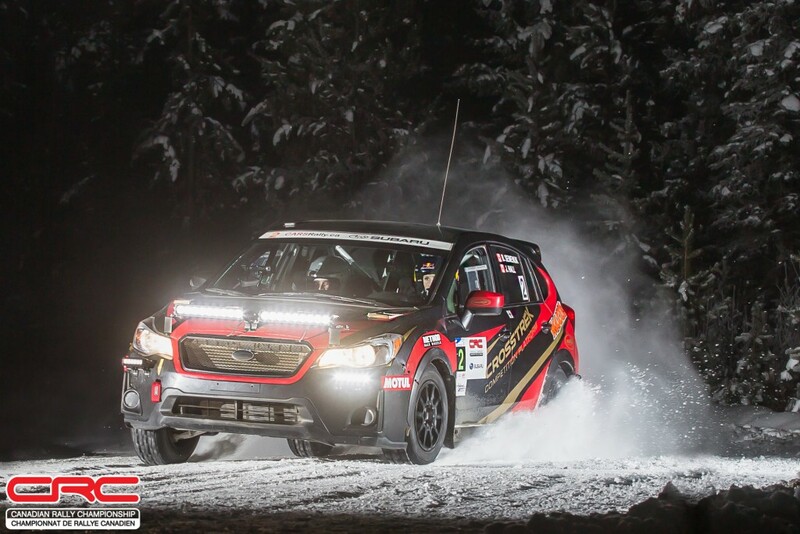 Bailey and Peterson finished the day 22nd, having had a flat on the first stage. 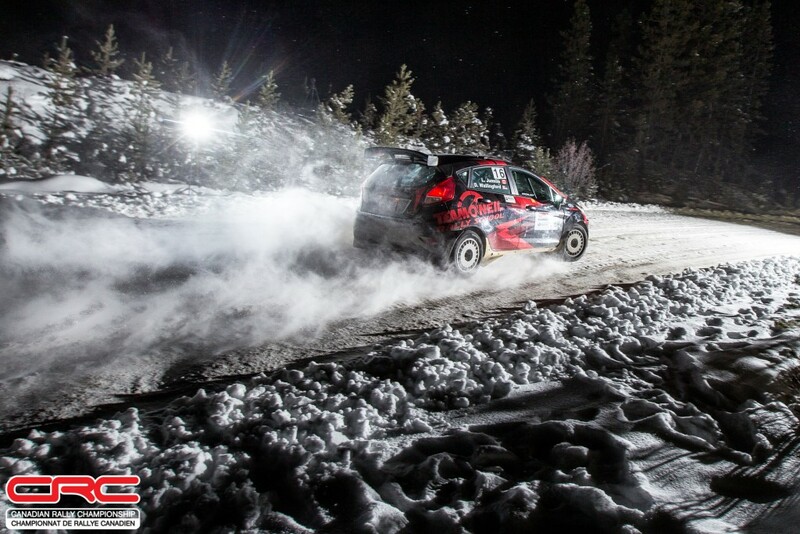 The bulk of the Big White Winter Rally takes place tomorrow, with eight stages totalling nearly 150kms of stages. Most of that will run in daylight, with only the last stage running in darkness. Follow all of the action and updates at the Big White Rally here, on Facebook, Instagram, and Twitter. 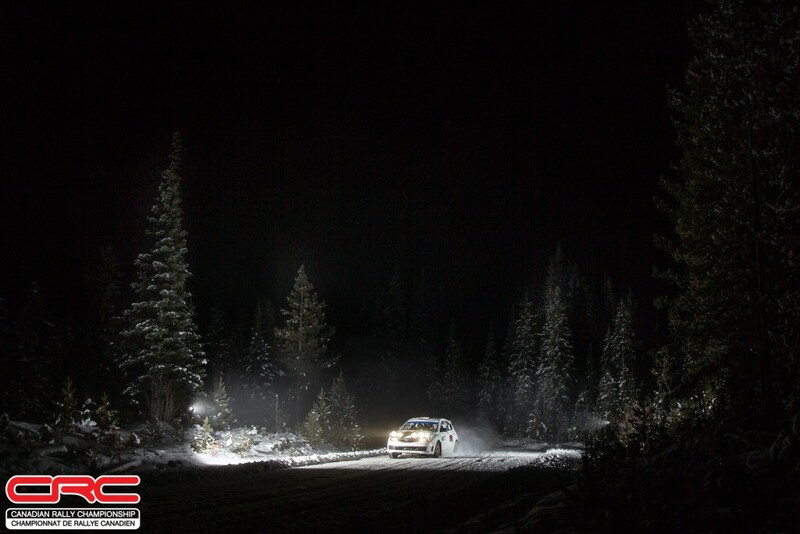 Be sure to share your questions and comments using #crcrally or get to us directly using @crcrally.